﻿ Hotel Drag-n-Drop Calendar Your reservations calendar has been updated to make it even easier to manage your hotel’s daily activity. 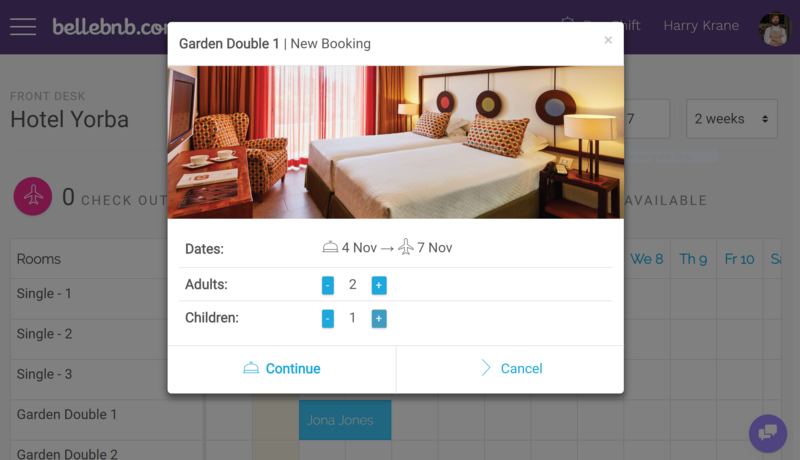 You can now drag and resize to create and reschedule bookings. Your reservations calendar has been updated to make it even easier to manage your hotel’s daily activity. 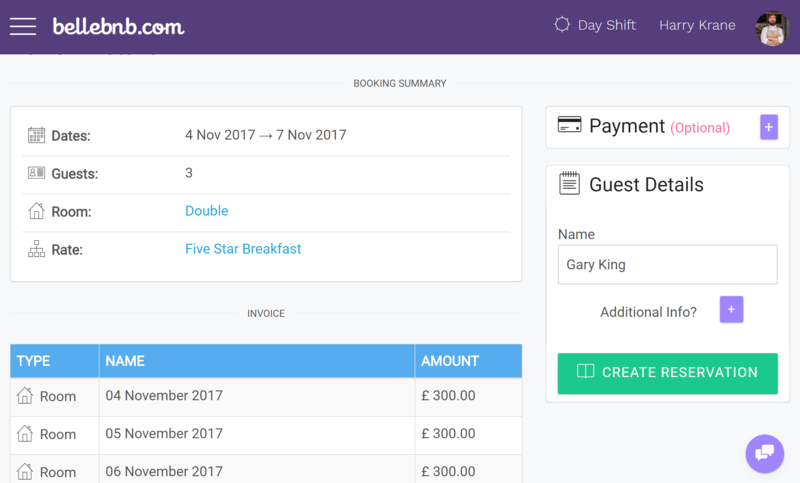 You can now drag and resize to create and reschedule bookings. To make a new reservation, just scroll down to the room you want to book, then click the check-in date and drag across all the days included in the booking. Enter the number of adults and children in the room and click ‘Continue,’ then select a rate to book. It’s just as easy to reschedule a booking right from your calendar. 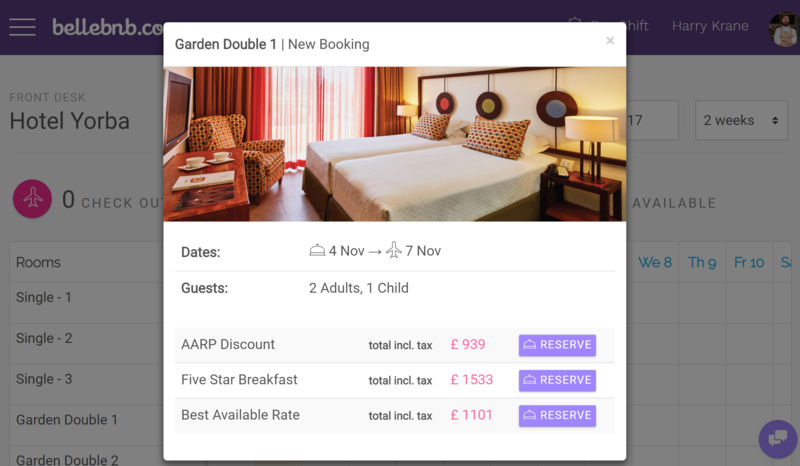 To move a reservation to a different room, just click and drag it into any other room. To extend or shorten a reservation, place your cursor over the right edge of the reservation. When the cursor changes to a ‘resize’ icon, drag the right end to the new check-out date. That’s it! 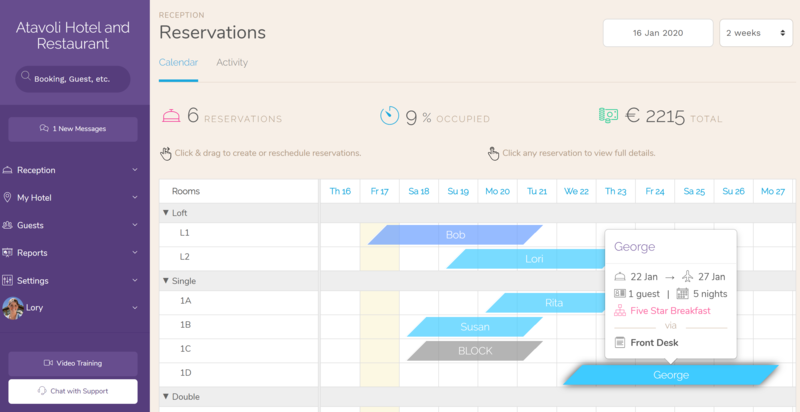 Managing your reservations is now easier than ever with our newly improved calendar interface. You can handle most transactions without leaving the calendar. The old ‘reschedule menu is still available under ‘Front Desk > Reserve’ in the left navigation menu which you can use to book a room from your iPhone or other touch device.